The digital photographs can be submitted for the following Four sections. Judging (Classificacao) 24th- 25th March, 2019. Result (Envio de resultados) 7th April, 2019. 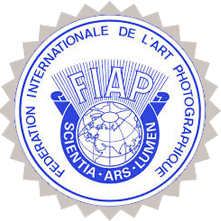 Date of Exhibition ( Exposicao) Middle of May, 2019. For NEPAL Entraints : Two Section: 800/- [ NPR], Three Section: 900/-[ NPR] & all Four Section: 1000/-[NPR] only. For Other Entraints :Two Section: $15[ USD ], Three Section : $22[ USD ] & Four Section : $25[USD ] only. For INDIAN Entraints : Two Section: 800/- [ NPR], Three Section: 900/-[ NPR] & all Four Section: 1000/-[NPR] only. © Copyright 1st Lhotse International Salon - 2019. All Rights reserved.